Click on any of the years to open the documents. Cricket at Habs is hugely popular and enjoys an enviable reputation both on our local circuit and more widely. We have achieved much success as a club over many years, regularly winning betwen 60 and 70% of our matches against other schools, and the number of boys we attract is continually on the rise. Cricket is the major sport played here in the summer term; however, thanks to our excellent indoor facilities, it can now take place throughout the year, with individuals and groups regularly given opportunities to practise and hone their techniques under expert guidance in readiness for the outdoor season. 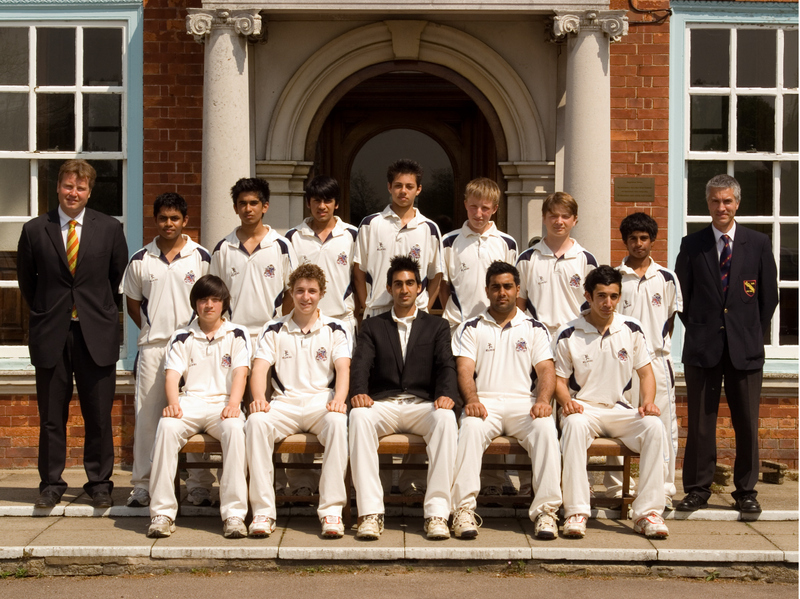 During the summer we field three senior sides (1st XI, 2nd XI and 3rd XI) together with occasional games for a 4th and 5th XI. Lower down the school there are A, B and C teams in the U15, U14, U13 and U12 age groups, all of which receive first class help and advice from our well qualified coaching staff. In the Prep School there are teams for the U9-U11 boys. Our facilities include three grass squares and two artificial wickets, which are in constant use throughout the season. Inter-school games are played every weekend as well as during the week and there is a House competition for the junior boys. A strong fixture list includes games against Bancroft’s, Berkhamsted, Felsted, Magdalen College School, Merchant Taylors’and St Albans. The annual fixtures against MCC and the Fraser Bird XI are always eagerly anticipated as are the Devon Tours, run currently for the 1st XI and U13s. We enter all four age group sides into their respective Hertfordshire Schools County Cup competitions and have enjoyed considerable success, particularly recently. Winning the U14 competition or the U12 competition, as we have done on several occasions in the last few years, allows us to increase our profile on the national stage in the prestigious ECB/ESCA and Bunbury Cup National Competitions. Overseas tours, which we try to organise every two or three years, are also an important feature of the cricket programme. 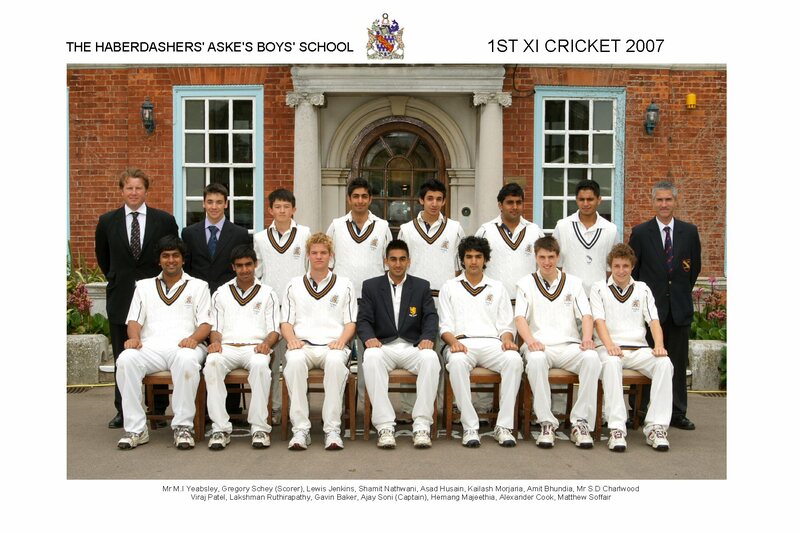 The 1st XI has played in Hong Kong, Malaysia, Singapore, South Africa and Sri Lanka, which we are looking forward to visiting again this coming October, while our U15 squad played in the arch Tournament in Dubai in March 2013. These tours always provide a great experience and lasting memories for our boys. We also regularly host schools touring this country from Australia, New Zealand and South Africa. We encourage our best players to seek higher representative honours with both Hertfordshire and Middlesex and we have strong links with our local club, Radlett CC, where many of our boys also play. We also hope to develop further our partnership with Middlesex CCC. The name Yeabsley will always be associated with Habs Cricket. Doug Yeabsley, the former Devon and Minor Counties left-arm swing bowler (not to mention Harlequins RFC for whom he played during the winter months! ), has been involved with cricket at the school since the ‘sixties’ and in 2014 will celebrate his 50th year at Habs, a remarkable achievement. It was Doug who introduced our annual Devon tour (we have played at Sidmouth CC since 1966) and he has also organised all our highly successful Far East Tours (to Hong Kong and Malaysia). Both his sons, Michael and Richard, played for Habs with distinction. Richard Yeabsley (10 wickets against Cambridge in 1994) went on to gain three ‘blues’ for Oxford (+ two more for rugby, all as an undergraduate) and was contracted briefly to Middlesex CCC. Michael was unfortunately denied a possible ‘blue’ by injury (he would have opposed his brother in the 1995 varsity match). In the absence of any county cricketers (Habs’ boys tend to find their way into medicine or the City), other players of note include Roger Moulding (6’blues’ for Oxford between 1978 and 1983, captain in ’81) and David Price (Cambridge 1984-87, captain in ’86 and ’87). Richard Bate (Cambridge 1988) achieved the distinction of being awarded his ‘blue’ without a ball being bowled! In 1998 Dean Wilson (now Cricket correspondent for the Daily Mirror) was the leading run scorer in school cricket throughout the country. More recently, Gavin Baker, the overall leading run scorer for Habs, played for Loughborough UCCE and was briefly contracted to Northants CCC. 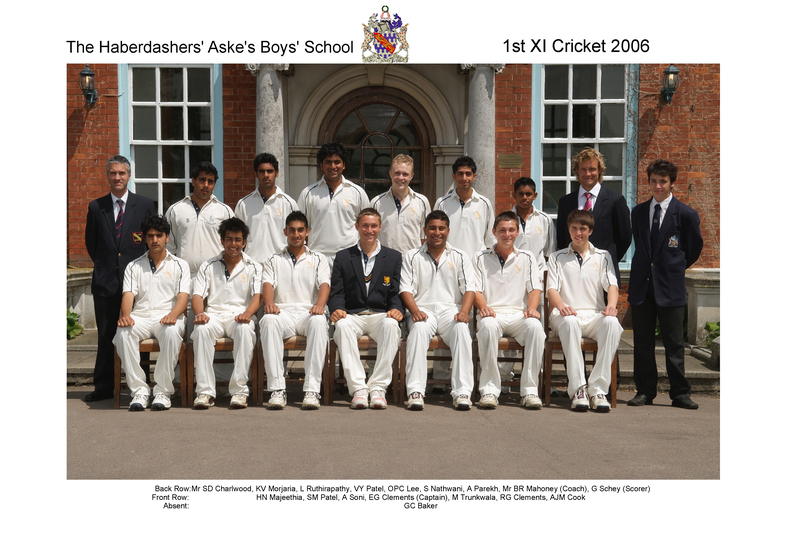 Gavin played for the undefeated 2006 Habs XI, which achieved the best results (19 victories in 22 games) in school cricket that year. Bringing us almost to the present, Tom Edrich, captain in 2010 and 2011, is the grandson of the former Middlesex and England cricketer Bill Edrich. 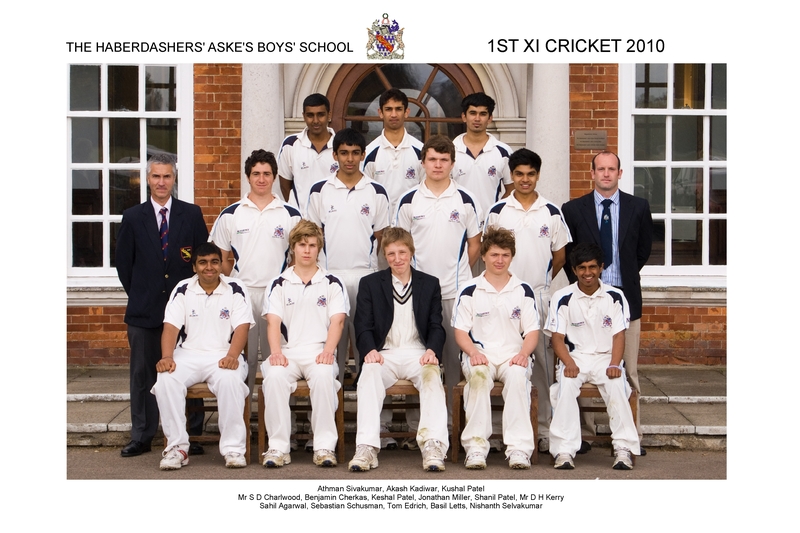 Most recently, Left-arm spinner Ashley Sivarajah (8 for 52 v MCC in 2011) is currently under contract with the MCC Young Cricketers while Tom Colverd (captain in 2013 and 2014) was awarded his ‘blue’ as a freshman at Cambridge University in 2016. Hockey has been a priority sport at Habs for a considerable number of years. It is played by all year groups in the main school and is run as an open club in the Prep School. Hockey at Habs provides a level to suit all abilities. Recreational players will develop their skills and play in small sided games with the more advanced players training for fixtures during Games sessions and at the weekend. The school regularly competes in block fixtures against local schools, including Watford GS, St Albans and Merchant Taylors, as well as school further afield such as Magdalen College School Oxford and Bishop Stortford College. The U14’s, U16’s and 1st XI regularly compete in county competitions with the 1st XI and U14's representing Hertfordshire in the East Regional Knockout rounds for the last 3 years. The school tours every year to the King Edwards School Festival in Bath with the 1st XI and 2nd XI squad. The school has also taken a senior tour group to Barcelona in recent years to play and train against some of the regions best clubs.